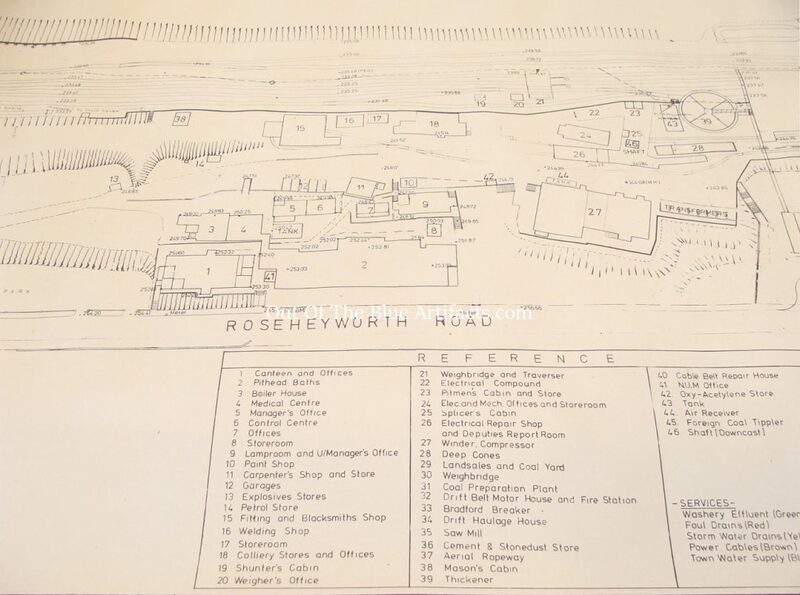 Rose Heyworth Colliery Surface Plan. 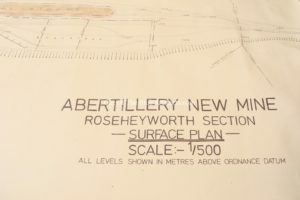 Abertillery New Mine – Rose Heyworth Section. 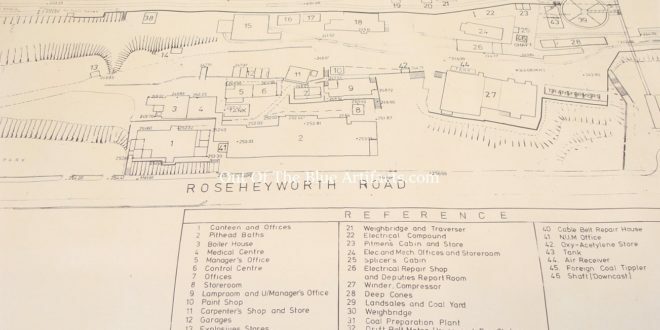 Rose Heyworth Colliery Surface Plan. Original N.C.B., plan. Size 6′ x 2′ foot. Rose Heyworth Colliery and Cwmtillery Colliery were always connected, though in 1959 a new drift was driven between the two mines and from that time the two collieries became known as Abertillery New Mine, with each individual pit becoming a section of that mine – Rose Heyworth and Cwmtillery Sections.